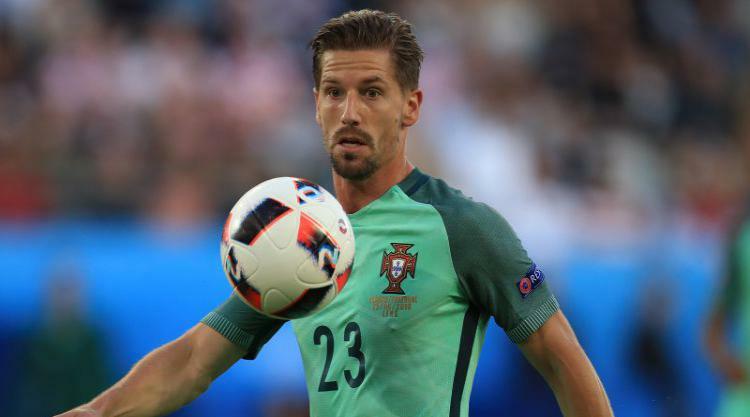 Leicester’s appeal to register Adrien Silva has been rejected by FIFA. The Foxes and the Football Association had asked FIFA to ratify the midfielder’s transfer after the paperwork for the £22million deadline day move from Sporting Lisbon was submitted 14 seconds late. But it has been denied and Silva will now not be registered to play for Leicester until January. FIFA withheld the International Transfer Certificate because the data input into its Transfer Matching System was received by the FA 14 seconds after the deadline. The FA was helping Leicester with the appeal, with the Foxes hopeful of a positive outcome, but that has now failed leaving Silva in limbo and unable to train with the squad. Silva has also been left out of Portugal’s squad for their final World Cup qualifiers against Andorra and Switzerland this month, with his country still hopeful of reaching next summer’s tournament in Russia. Leicester made a late move for the 28-year-old after Danny Drinkwater’s £35million move to Chelsea and Sporting have said the transfer is complete. But he will be unavailable to boss Craig Shakespeare until January with the Foxes 17th in the Premier League after just one win this season.